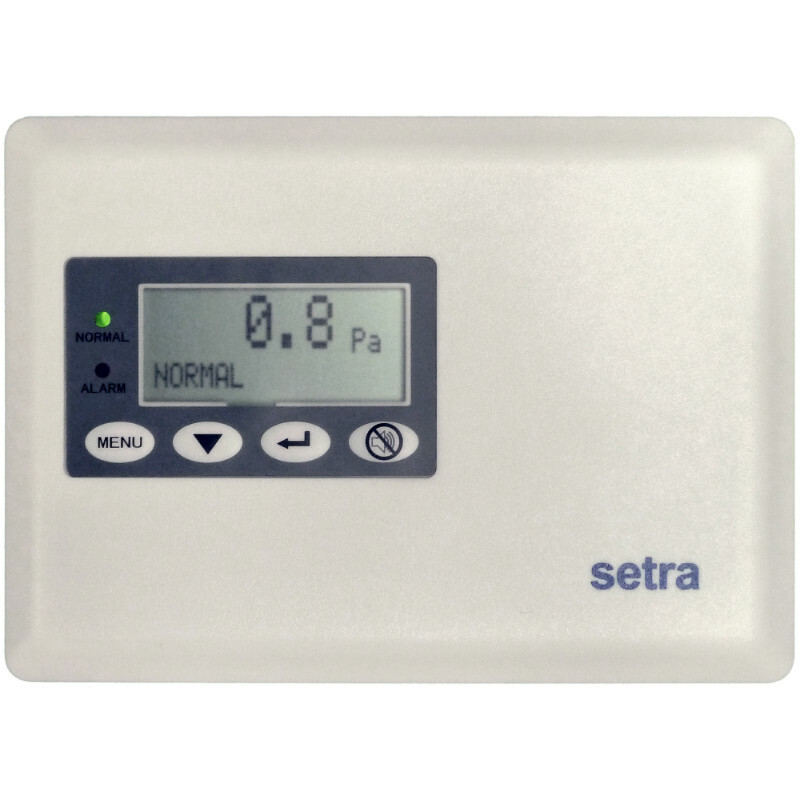 The SRIM1 is Setra’s standard non-BACnet product measuring low differential pressure in critical applications. The SRIM1 is Setra’s standard non-BACnet product measuring low differential pressure in critical applications. The SRIM1 is an ideal solution for anyone who requires cost-effective local monitoring and alarming of a single pressure relationship, but does not require BACnet protocol. The SRIM1 has a two-line LCD display with easy menu navigation and configurable visual/audible alarm setup. The SRIM1 has field selectable output and uses a unique removable faceplate design, allowing the user to fully calibrate the unit without the hassle of removing plumbing or wiring. Premium Performance at an Affordable Price - The SRIM1 is designed for the facility that needs local alarming on pressure, without paying a premium for the bells and whistles of high priced devices. The SRIM1 has a configurable audible/visual alarm for pressure, which is easily configured through the 2-line LCD display. Save Time and Money on Calibration - With requirements in place to calibrate pressure sensors anywhere from 1-3 times annually, the Setra SRIM1 offers a solution to help you save on calibration time. The SRIM1 allows the end user to remove the sensor without detaching any wiring or plumbing, attach to the Setra calibration fixture and complete the calibration in minutes.